We have seen some crazy forces at play in the Heuer market, from May 2016 through May 2018 . . . who can remember the Franken shown below fetching 62,000 euro (final price) in May 2016, and a couple of IDF Autavias trading at or above that price? Or the ill-fated Heuer 100, a few months later? Some sales in 2017 seemed to bring stability (Christie's June 2017 being a good success), and it seems that we are still processing / digesting the Heuer Parade (November 2017). 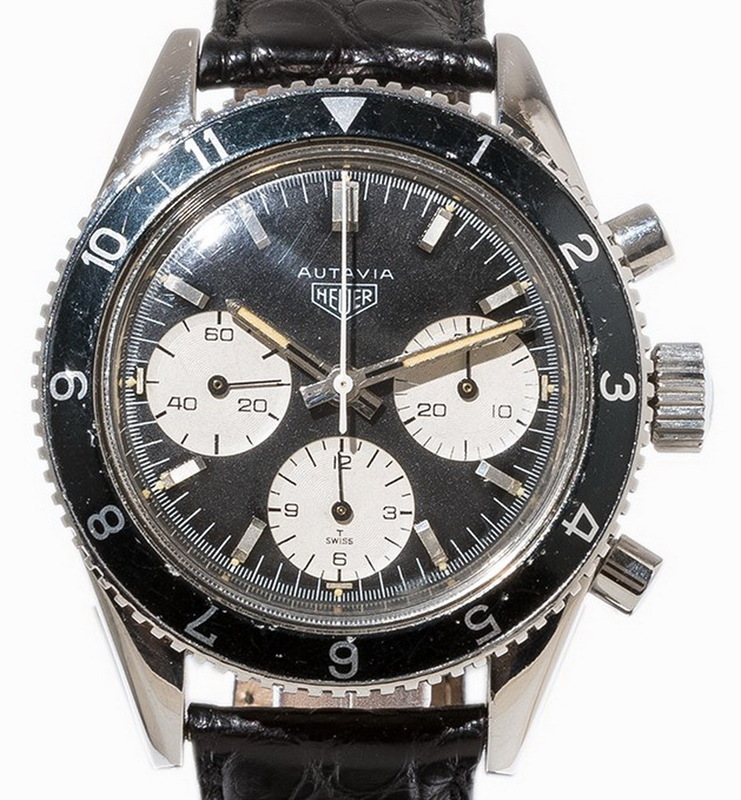 It would have been nice to have had a nice auction of 20 or 30 top-quality Heuers in May 2018, but that didn't happen. Phillips was small, but strong / stable; Antiquorum had 37 cats and dogs, with too many "eBay quality" watches; Sotheby's tipped its hand / showed its ignorance, by including a blatant fake; and Christie's seemed to do OK with their 8 Heuers, with a couple of good results and a couple of very weak ones. So now we can go back to eBay, chrono24, and the back channels / private sellers . . . which is where the good ones seem to be moving. I'm not sure whether it's a bubble, an air pocket or a correction . . . I'll be happy with anything above "crash" status. It seems that we are still recovering from some of what happened two years ago . . . but we are not really there yet. : long. the best are just too good as far as watches go. . .